This motion picture tells the tale of two men who come together by chance on a trip, and despite them being polar opposites of each other, they end up sharing an incredible journey. Sivam and Anbarasu end up learning a great deal from each other which leads to them forming a quirky bond of sorts. The movie is based on the premise of sharing ideals regarding and relating to communism, the notion that it is impossible for a god to exist, and finally the notion of the world being bigger than any one individual. Filled with action as well as comedy and drama, this film is meant to enlighten audiences. Pok�mon the Movie: I Choose You! 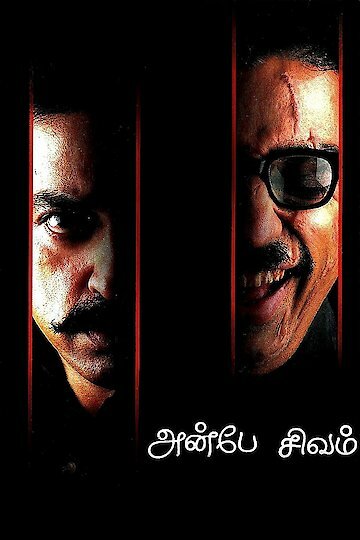 Also directed by Sundar C.
Anbe Sivam is currently available to watch and stream, download on demand at Amazon Prime online.